In this post, we examined 5 of the best-selling Baume & Mercier watches. Baume & Mercier is a watch company that manufactures luxury watches for both men and women. It was launched by two brothers in 1830 and they have been making high-quality timepieces ever since. Most luxury watches are analog, which means they’re operated by small gears called movements. There are two main types of movements: quartz and automatic. Quartz movement keeps time via a battery while automatics are wound by the movement of your arm (Source). If you’re in the market for a luxury watch, watch aficionados recommend you purchase an automatic. These watches are desirable because the second hand travels smoothly as opposed to a quartz watch hand that jerks with each tick (Source). In this section, we look at 5 men’s luxury watches from Baume & Mercier. The Men’s Classima Executive watch is an automatic watch with a silver dial and stylish Roman numerals. The case is round and made of stainless steel and it features a brown leather strap for a classic look that goes well with a suit, or your casual weekend wear. The watch is rated to be water resistant up to 30 meters, but it should be noted that water resistant doesn’t mean waterproof, and you should be cautious about getting these watches wet (Source). The Clifton is another elegant watch that will go well with both dress and casual wear. It features a silver dial with alternating Arabic numeral and index hour markers. The case is stainless steel and the black alligator strap makes for a classic look. Like the previous watch, this uses Swiss automatic movement. Buyers said this watch was attractive and not too large on smaller wrists. Next up is the Men’s Classica XL. This watch, like the others, uses Swiss automatic movements and can function without a battery through power from your arm’s movement. It features a stainless steel case, black dial with a croco-embossed leather bracelet. The blue steel hands are a nice contrast to the black dial. This watch is a more sporty design as it features a chronograph with two sub-dials displaying 30 minutes and 12 hours. While buyers noted the hefty price tag, most agreed the quality is worth it. The next timepiece we reviewed is the Classima Swiss Date watch. This is a no-frills watch that’s quite elegant and stylish in its simplicity. It features precise Swiss movement, a stainless steel case and a black leather strap. Roman numerals adorn the white face. This watch is rated to be water resistant up to 99 feet, but it’s not recommended you wear it in the shower or swimming. Last up is the Classima Executive watch. Like the previous watches, this features a Swiss automatic movement. The case is 42mm, which should fit most sized wrists comfortably. The case is stainless steel with a black alligator strap. Like the other Classima watches, this is a simple design that will go well with virtually any wardrobe. 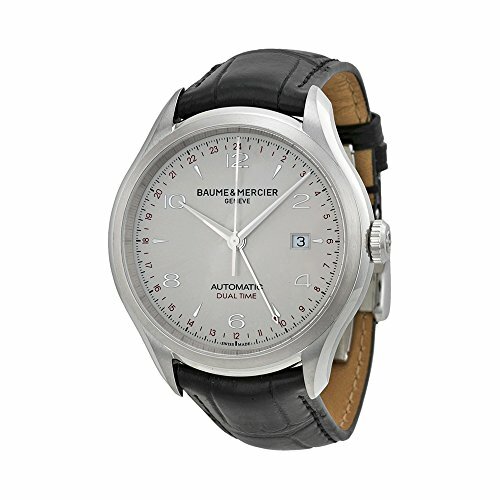 This automatic watch for men offered by Baume & Mercier is extraordinary, elegant, well-designed, and sophisticated. Users love the dual-time feature, but some do note that they had issues with the clasp. The Baume & Mercier Classima watch has a stainless steel case, Roman and Arabic numbers, a date window at3 o’clock, and automatic Swiss movement for accuracy. Another great thing about this men’s watch is that it features four, easy-to-read hands and a scratch-resistant sapphire crystal to protect it from accidental scratches. The Classima Executives men’s watch also has a white dial and the Greek letter Phi at 12 o’clock. Moreover, this timepiece offers you a black alligator strap with a pin buckle, and it’s water-resistant up to 99 ft. In general, users are satisfied with the performance, size, and design of the Baume & Mercier executive watch, and they highly recommend it. A buyer comments that the watch keeps excellent time and that it’s perfect for a dress watch. He adds that this automatic watch is relatively large but comfortable to wear. Another reviewer shares that he has owned this timepiece for more than three years and that he hasn’t had a single issue with it. A user also notes that the crown is easy to manipulate and that the finish is impeccable. However, some customers indicate that the clasp is too complicated to hook up or remove and that they’re going to change it with an ordinary one. Some also state that the watch stopped working far quicker than they expected. If you’re looking for a classy watch for a formal occasion, this Classima date watch offered by Baume & Mercier might be worth considering. 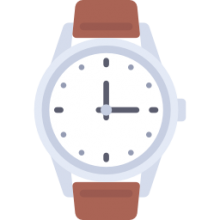 Users love the white dial with the silver-tone hands, but some do note that the watch is not as accurate as they expected. 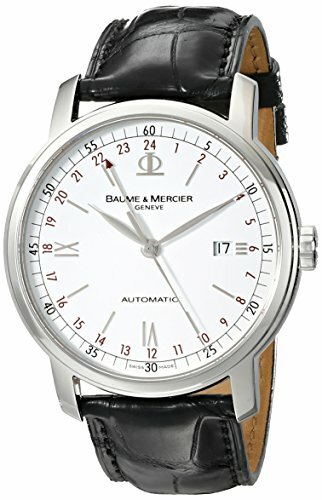 The Baume & Mercier Classima quartz watch features a stainless steel case, a black Croco-embossed bracelet, a fixed stainless steel bezel, stick hour markers, minute markers, and Roman numerals. Another fantastic feature of this exquisite watch is the date and day window in combination with the Swiss quartz movement. Moreover, this extraordinary timepiece has a scratch-resistant sapphire crystal and screw down crown. It’s water-resistant up to 99 ft.
A purchaser shares that he has been using the Baume & Mercier watch since 2011 and that he couldn’t be more pleased with his purchase. He adds that he had to change the battery and band in 2015 and that you can’t beat Baume & Mercier quality. Another buyer states that the Classima date watch goes perfectly with a suit and that it’s elegant and comfortable to wear. A user also notes that the watch arrived packed well and that Baume & Mercier craftsmanship is top-notched. However, some customers have observed that the watch gains time and that they are disappointed with it. Some also warn that the warranty is not backed up by the manufacturer but Asurion instead. The Classima XL watch is handy, elegant, well-made, and an excellent choice for formal occasions. Users love the black dial with blue steel hands, but some do note that the quality is not what they expected. The Baume & Mercier watch features a polished steel case, a scratch-resistant sapphire crystal, stick hour markers, Roman numerals, minute markers around the rim, and a date display. Another fantastic thing about this precious timepiece is that it has a chronograph feature –two sub-dials for displaying 30 minutes and 12 hours. Moreover, the watch is automatic and self-winding, so you don’t have to rely on batteries. A purchaser comments that Baume & Mercier Classima XL watch arrived well-packed in an authentic wooden case and that he was very pleased with its automatic features. He highly recommends it as one of the best Baume & Mercier men’s watch. Another reviewer mentions that he likes the elegant design of the watch, but the self-winding mechanism is louder than he expected. Nevertheless, once you get used to the noise, you hardly notice it. A user also notes that the band can be adjusted to fit your wrist snuggly and that the watch keeps excellent time. However, one customer states that the stopwatch function was faulty and that there were no adequate instructions how to set the watch. 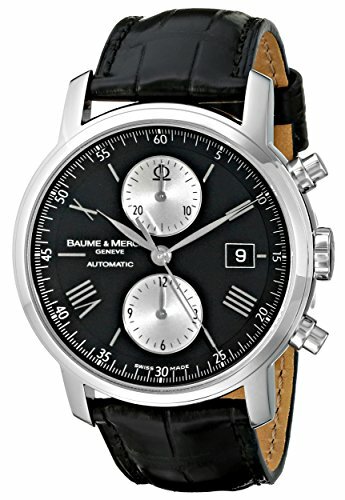 This automatic black watch for men offered by Baume & Mercier is well-designed, luxurious, and an excellent choice for a gift. Users love the leather alligator strap, but some do note that the watch is expensive. The Baume & Mercier Clifton black watch features a stainless steel case, a fixed stainless steel bezel, a silver dial, silver-toned hands, a scratch-resistant sapphire crystal, an analog display, and a date window at 3 o’clock. Among the other fantastic qualities of this Clifton men’s watch are the alternating Arabic numeral, index hour markers, and 24-hour markers. Moreover, the watch has an automatic Swiss movement with a power reserve of 42 hours so that you won’t need batteries. The band is 9 inches in length, and it has a deployment clasp. As a whole, users are satisfied with the performance and accuracy of the Baume & Mercier automatic Swiss watch, and they don’t have any significant complaints. A reviewer comments that the Clifton black watch looks attractive and that it’s just the right size – neither too large, neither too small. He adds that the clasp works well and that he hasn’t had issues taking the watch off. The customer highly recommends it as one of the best Baume & Mercier watches and states that it’s an excellent alternative to more expensive brands. 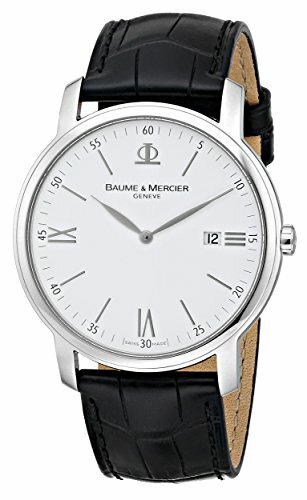 If you’re looking for a luxurious automatic men’s watch, then you might consider the Classima Executives silver watch offered by Baume & Mercier. Users love the peek-a-boo cutouts at the top of the dial, but some do note that it’s not as accurate as they expected. The Baume & Mercier Classima automatic watch features a guilloche dial, elongated Roman numeral hour indexes, dark blue hands, minutes markers, and Arabic numerals in intervals of five. Another fantastic thing about this Swiss watch is the polished, stainless steel bezel in addition to the anti-reflexive and scratch-resistant sapphire window. A brown leather completes the picture and the watch is water resistant up to 99 ft.
As a whole, buyers are pleased with the performance, accuracy, and functionality of the Baume & Mercier Classima Executives watch. A reviewer shares that the timepiece arrived in perfect condition and that it’s the real deal. However, the user warns that the warranty is not from the manufacturer but the seller. Another purchaser adds that the silver dial watch looks better than the provided picture and that it’s very elegant and classy. A user also mentions that the clap works perfectly and that this is the best Baume & Mercier watch he has ever owned. However, some customers have noted that this automatic Swiss watch is not accurate enough and that it loses 15 seconds in 12 hours. Founded in 1830, Baume & Mercier is a well-known Swiss luxury watchmaker, a subsidiary of Richemont. The Baume & Mercier Company was founded in 1830 as “Frères Baume” by brothers Célestin and Louis-Victor Baume, who opened the dealership in Les Bois, a Swiss Jura village. The Swiss watch manufacturer later expanded internationally and in 1921 established a branch in London named “Baume Brothers”, which caused an expansion in the British Empire. The company soon gained an established international reputation. Its timepieces are renown for their accuracy records, as well as having won numerous timekeeping competitions. In 1918, the director of the company, William Baume, made a partnership with Paul Mercier and founded “Baume & Mercier” in Geneva. The company focused on producing wristwatches, particularly models that had forms different from traditional round ones. In 1919, the company was awarded the Geneva Seal which was the biggest worldwide distinction of that time for watchmaking excellence. Later, in the 1940s, the company launched several modern watch collections, among which the most notable model is the 2 Register Chronograph. Some early examples of this model had double case backs and were quite unique and profoundly desirable. Their price was often more than double that of a later model. Baume & Mercier introduced such shaped timepieces as the Stardust and Galaxie models in the 1970s. In 1973, the company presented the Riviera, which is among the leading steel athletic watches in the world. In 1988, Baume & Mercier joined the Richemont group. Today, the brand offers the Hampton, Clifton and Classima collections for men and women, the Promesse and Linea collections for women, and the Capeland collection for men. In 2015, Baume & Mercier entered into a business cooperation with Carroll Shelby International, famous American racing automaker. Now the company offers limited edition models in its Clifton and Capeland collections. The models are named “Shelby Cobra” after the classic sports car. One of the founders of the company, Paul Mercier, considered it essential that the brand resonated with modern times. During the “Roaring Twenties”, therefore, the brand took into account the importance of women’s freedom and started to consider their desires as an inspiration source. In the 1940s Baume & Mercier started a very successful model: the Marquise. Encouraged by this momentum, the company launched a number of stunning modern ladies’ watches. Thereby it proved that watches for women were not simply miniaturized versions of male timepieces. Femininity became an important part of the company’s values- this exhibited a modern attitude towards watchmaking. 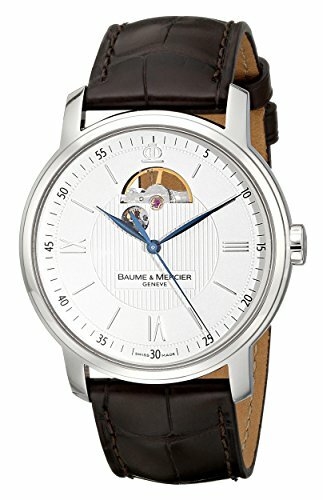 Currently Baume & Mercier offers five collections that are designed to show the best representation of high-quality watchmaking: Capeland, for Worldtimer watches and chronographs; Hampton, for shaped watches for men and women; Classima for those who prefer minimalist design; Linea for dynamic and elegant women; and the new Clifton collection that matches the expectations of those looking for a classic and at the same time contemporary watch.